These bacon wrap enoki mushrooms have only 2 ingredients – bacon and enoki mushrooms. 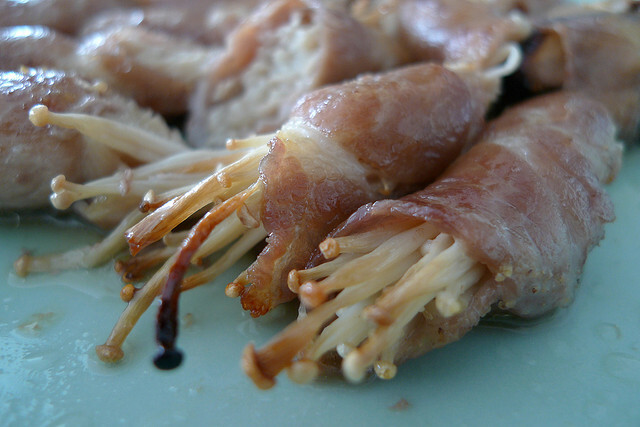 I made these bacon wrap enoki mushrooms twice for family gatherings. 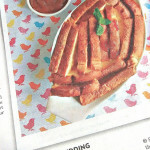 It is an easy finger food recipe. I pan-grilled them the first time but popped them into a pre-heated oven the second time. I have also tried thinly sliced pork instead of bacon. Although the smoked bacon imparts more flavour, it is also saltier. The thin pork slices also offer a different texture. 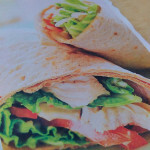 You can also make these wraps for a BBQ.